Alles steht Kopf. This doesn't relate to the page but my friend and I went to an Anime convention and we cosplayed as Sadness and Disgust from Inside Out and I felt the need to share this with Du all.. HD Wallpaper and background images in the Young Justice OC'S!!! 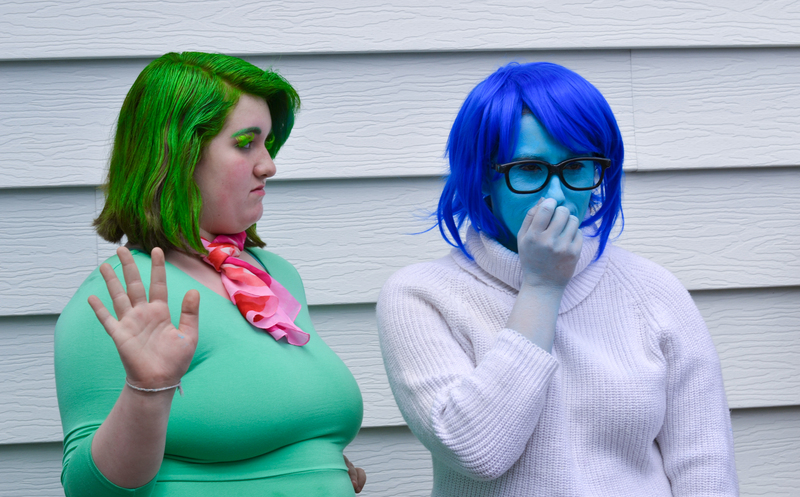 club tagged: photo inside out cosplay. Awwwww, you guys are adorable! Never cosplayed before, but it always looks so fun. Flynn: "The ladies look beautiful, as usual."